Takeaway: An irresistible feel-good romance full of star power, humor and toe-curling chemistry. A swoony, smile-on-your-face page turner. Bromberg’s latest encapsulates everything I love in a light-hearted romance… humor and warmth with a touch of angst to keep you flipping the pages. 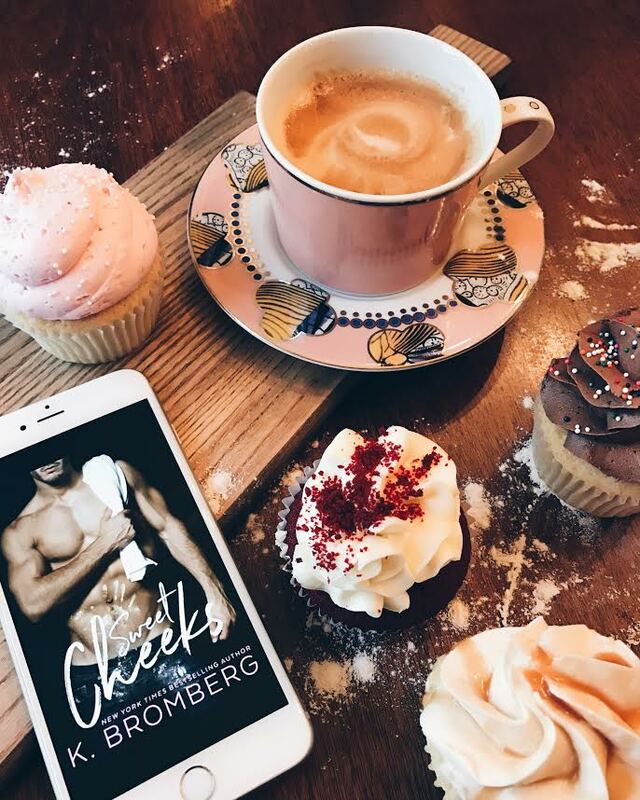 Throw into the mix some Hollywood star power and a baker with an obsessive love of cupcakes, and you’ve got yourself the kind of novel one delightfully devours in a single sitting. We first meet Saylor, who finds herself incredulously staring at the wedding invitation for her ex-fiancé. It’s the same invitation she chose, at the location she picked, at the time she planned… but, with a different bride’s name printed on its front. It’s clear he wants her to see everything she’s missing, should she not had walked away. But fate has a way of tangling and untangling life in the most unexpected ways. Saylor needs to do something for her struggling bakery, especially after her ex’s mother dragged her name through mud. What better way to stir up gossip (and interest) than to show up to the wedding with a better-looking man who carries a more thickly padded wallet? Enter Hayes Whitley. Big-time movie star and her first love. Hayes had left her behind, a trail of broken promises in his wake. She hadn’t seen him in ten years, until he walked into her bakery drudging up all the feelings of hurt. Tempers flare and passion ignites as the past comes barreling back for them both. A plane ride later and knowing this was nothing more than pretense, Saylor finds herself at the wedding that was supposed to be hers with a man she measured everyone else against. But the fire between them burns hot, truths get tangled in ways that threaten everything and the past seems to want to repeat itself for these two lovers left wondering whether their lives are just too different to fit together. Saylor and Hayes’ love story will hook you from the very beginning. Their banter, their chemistry, their past and their ease around each other will have you cheering for their happy ever after. Sweet Cheeks truly defines that heart-warming romance which leaves you feeling deliciously happy and satisfied. When he showed up out of the blue ten years later, I should have known to steer clear. I should have rejected his offer to take me to my ex’s wedding and told him he was crazy when he suggested we act like a couple to show my ex, it’s true, I could do better than him.